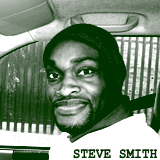 Begins his own record quest and Djin' in Montpellier, south of France, in 1995, looking for Soul/Psych/Jazz/ Rare soundtracks/Rocksteady. He then moves to London where he'll stay 4 years multiplying residencies with the "Blag!" parties and the Shetaan's Collective. 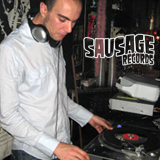 In 2001, in Paris, he pursues the organisation of evenings and parties (Paris Soul, Absolute Beginners, Kidnapping, Hold up!, Fair-Play) and sets up his own record label Sausage Records in 2006 with a first release: 2 tracks from legendary prog rock band Eden Rose on 45. He currently manages the monthly club night "Do the Popcorn! ", every first friday of the month at Le Divan du Monde, 75, rue des martyrs, Paris 18.